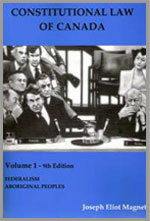 Constitutional Law of Canada, 9th Ed. (vol. 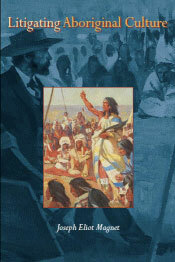 I – Federalism and Aboriginal Peoples) was released September 2007. A sample chapter is available on this website. Professor Magnet is the author of eighteen books. Need help finding an answer? This website provides a comprehensive list of the best legal collections online. Find general information on Canadian constitutional law and specific information on courses taught by Professor Joseph E. Magnet at the University of Ottawa. This website was conceived by Professor Joseph E. Magnet, a professor of law at the University of Ottawa. This site contains an unofficial version of the full text of the Constitution Act 1867 and the Constitution Act 1982 (including the Canadian Charter of Rights and Freedoms).